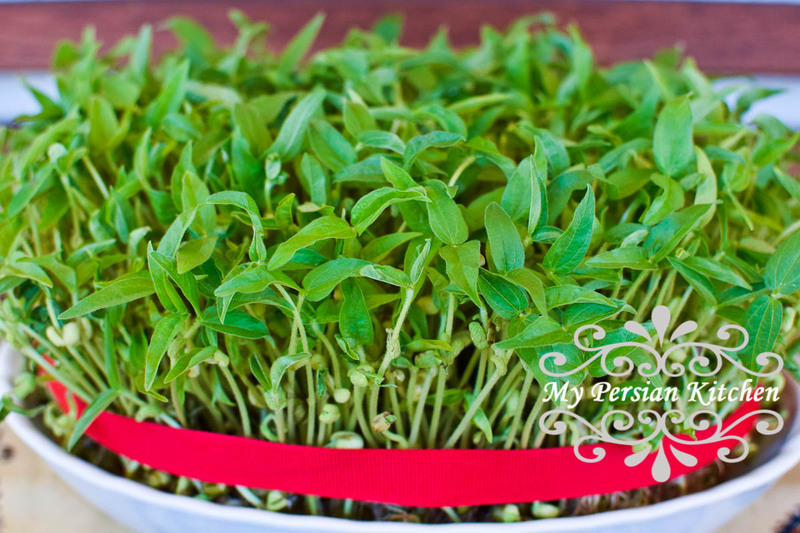 Spring is just around the corner, which means for us Iranians it’s time to get ready for Norouz. So far I have posted directions on how to grow wheat and lentil sprouts. This year I decided to change this up and grown mung bean sprouts for my Haft Seen. I find that these sprouts are very pretty. 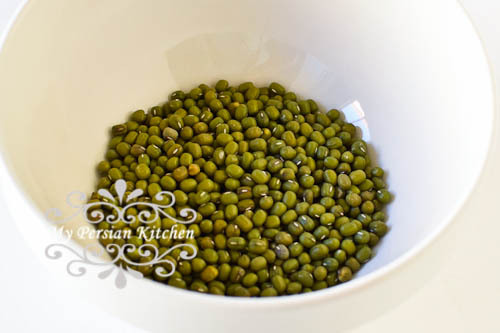 Soak 1/2 cup of mung beans in water for two to three days. Change the water every day. 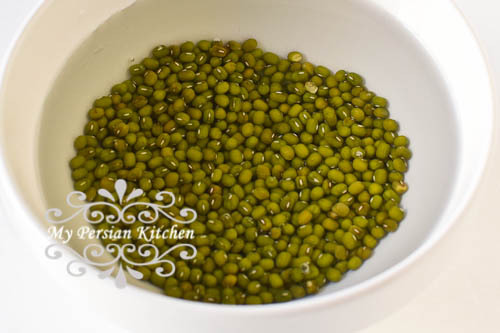 Place the beans in a dish and cover with a moist paper towel for three more days. Sprinkle the sprouts every day with a little water and keep the towel moist. Once the beans start sprouting, remove the moist towel. Lightly sprinkle with water on a daily basis, making sure to not over water, until the leaves grow. This process should take about 10 to 15 days.